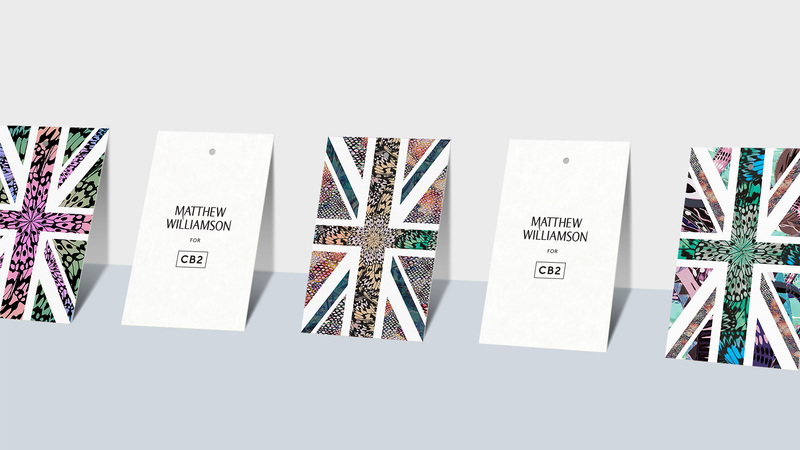 From Lenny Kravitz to the Hillside to SAIC, CB2 has developed a legacy of design partnerships that expose the brand to new aesthetics and audiences. 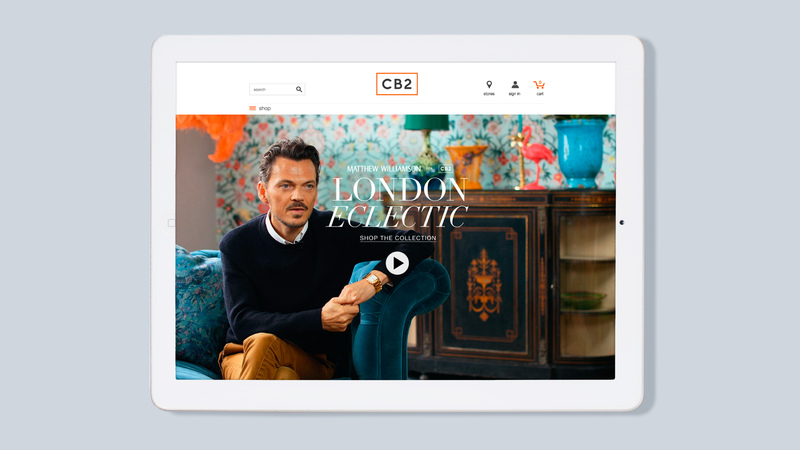 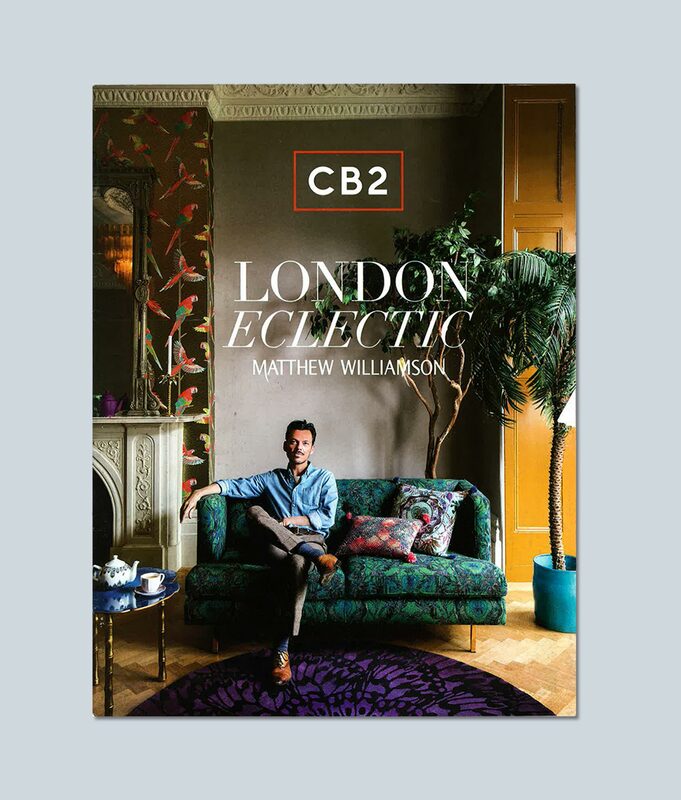 CB2 sought Mother Design’s help in telling the story of its boldest collaboration yet, with London-based ‘Boho-Chic’ inventor Matthew Williamson. 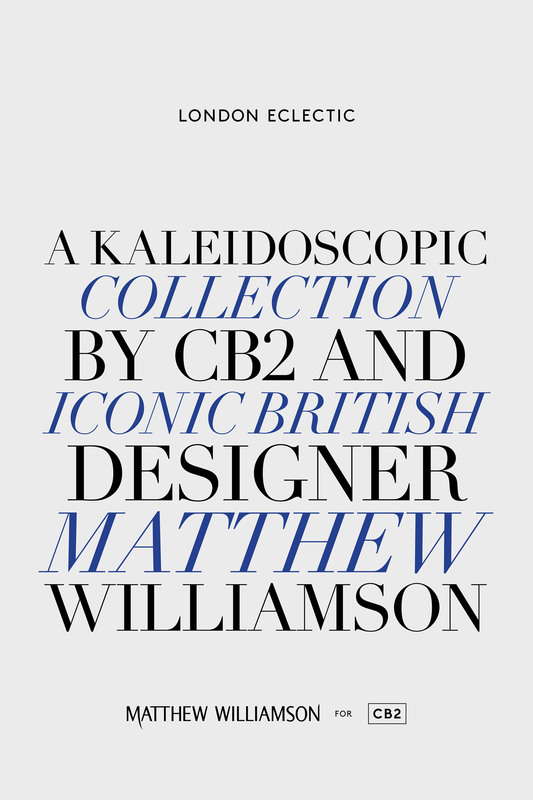 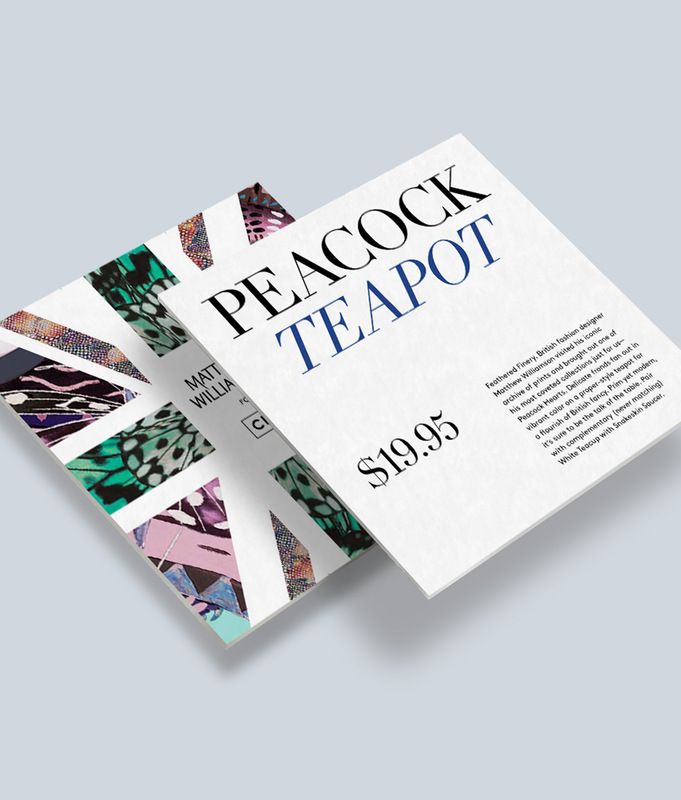 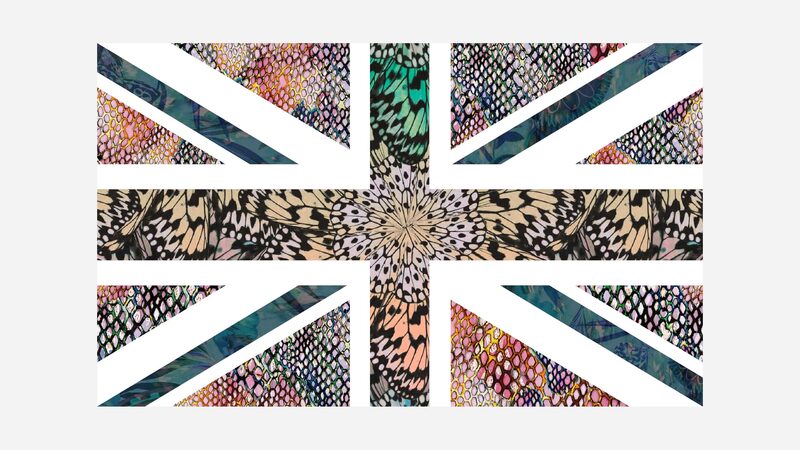 At first glance, CB2’s urban modernism and Matthew Williamson’s signature technicolour patterns seemed worlds apart. 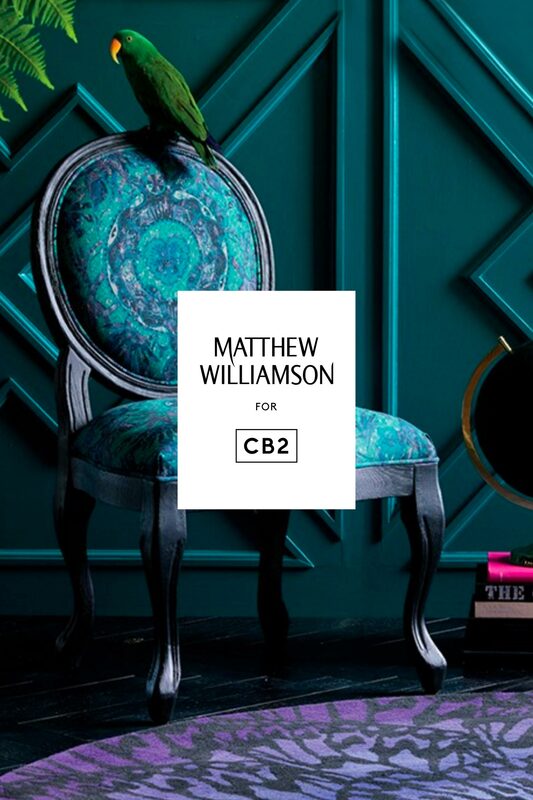 Our team found a beautiful harmony in Williamson’s eclectic take on luxury and CB2’s warm, human, and often playful take on modern design. 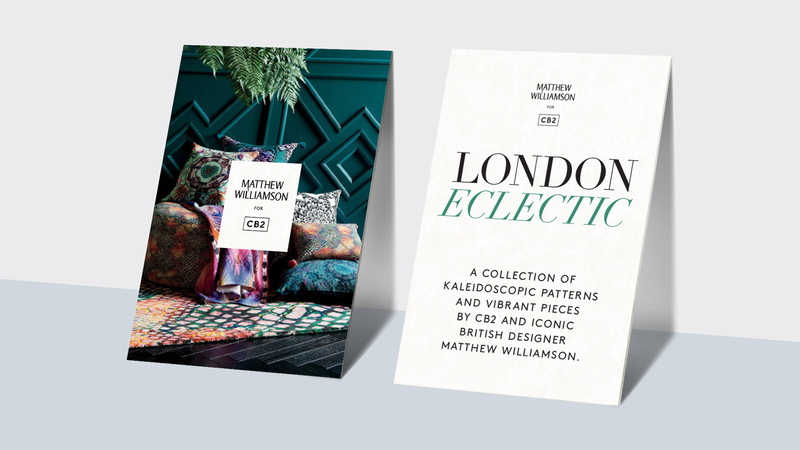 We turned this fusion into “London Eclectic”, a unifying concept that bridges the gap between both brands, and brought it to life with a unique world inspired by fashion editorial.